DHAKA, Bangladesh, November 11, 2018 – Bangladesh Honda Private Limited (BHL), Honda’s motorcycle business joint venture in Bangladesh, today held the grand opening of a new motorcycle factory on its own property in the Abdul Monem Economic Zone, Char Boushia, Gazaria, Munshiganj Disrict, Dhaka Division in Bangladesh. The ceremony was graced by representatives of the Bangladesh government, namely Mr. Amir Hossain Amu, Member of Parliament and Minister of Industries; Mr. Saber Hossain Chowdhury, Member of Parliament and Ex Chairman of Inter-Parliament Union (IPU); Mr. Mrinal Kanti Das, Member of Parliament for Munshiganj-3; Mr. Md. Mosharraf Hossain Bhuiyan, Senior Secretary of Internal Resources Division and Chairman of National Board of Revenue (NBR); Mr. Paban Chowdhury, Executive Chairman of Bangladesh Economic Zones Authority (BEZA); Mr. Muhammad Abdullah, Secretary of Ministry of Youth and Sports; as well as His Excellency Hiroyasu Izumi, Ambassador Extraordinary and Plenipotentiary of Japan to Bangladesh. Representatives from Honda were Mr. Yoshi Yamane, Senior Managing Director and Chief Officer for Production Operations of Honda Motor Co., Ltd.; Mr. Noriaki Abe, Operating Officer and Chief Officer for Motorcycle Operations of Honda Motor Co., Ltd.; Mr. Masayuki Igarashi, Operating Officer and Chief Officer for Asia & Oceania Regional Operations of Honda Motor Co., Ltd., and President & CEO of Asian Honda Motor Co., Ltd.; and Mr. Yuichiro Ishii, Managing Director and CEO of BHL. Taking a customer-oriented approach, Honda is expanding its business in Bangladesh to deliver products that meet customers’ needs for the growing market. As one of its core responsibilities, BHL is leading the development of the country’s motorcycle industry and contributing to the industrialization of Bangladesh. The company has relocated its factory, which is being officially inaugurated today, from Gazipur to the new location in the Abdul Monem Economic Zone. Honda, along with its partner Bangladesh Steel and Engineering Corporation (BSEC), has invested a total of 2.3 billion Bangladeshi Taka on buildings, equipment, facilities, and a land area of 25 acres for the new factory in Munshiganj District, Dhaka Division. The factory itself, which currently occupies one-third of the property, took a year to complete following the groundbreaking ceremony held on November 5, 2017. It will have an initial annual production capacity of 100,000 units of motorcycles. In line with market trends, BHL plans to continue to invest in expanding its production capacity to 200,000 units by 2021, and will build its full-phase factory on the remaining two-thirds of the property to accommodate future market growth. The motorcycle industry in Bangladesh is undergoing rapid growth with strong government support, including promoting a localization policy and reducing supplemental duty in December 2016. This enables BHL to enhance the localization of component parts, which will increase cost effectiveness for the models of motorcycles produced at the new factory. For example, the new factory is introducing welding and painting sections for localization with technical support from Honda Motor in Japan. Initially, BHL will localize the body frame and swing arm and then gradually expand localization to other parts assembled at the new factory in the future. The new factory opens up more opportunities for employment and technology transfer to local associates. Currently, the company has 390 associates, and BHL plans to increase the number of associates in line with its business expansion. 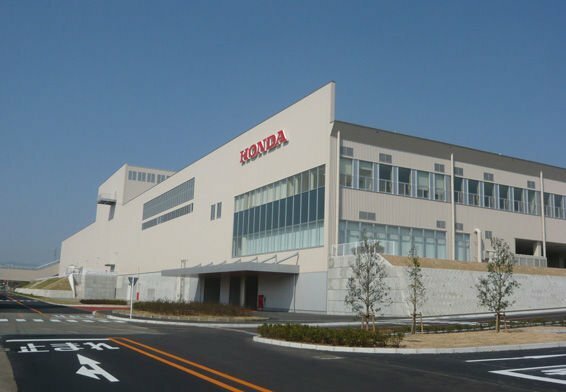 The company will also provide associates with training in the skills necessary to deliver the best-quality products that will bring joy and satisfaction to Honda customers.